The new Lean In, from the multi-award-winning Founder and CEO of national non-profit Girls Who Code and New York Times bestselling author Reshma Saujani. 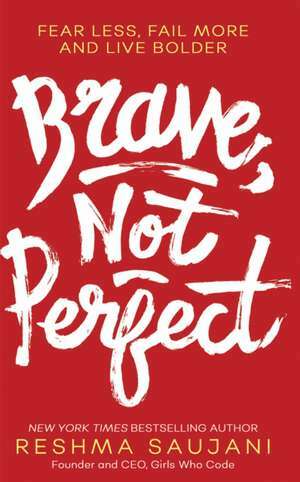 'We are raising our boys to be brave, but our girls to be perfect. And this is holding us back. 'Imagine if you lived without the fear of failure, without the fear of not measuring up. If you no longer felt the need to stifle your thoughts and swallow what you really want to say in order to please and appease others. If you could stop berating yourself mercilessly for human mistakes, let go of the guilt and the strangling pressure to be perfect, and just breathe. What if, in every decision you faced, you made the brave choice or took the bolder path. Would you be happier? Would you impact the world in the ways you dream you can?I believe the answer to both is yes.